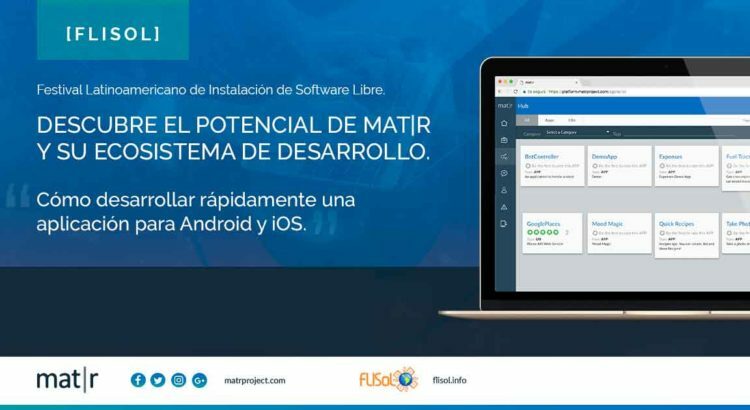 On April 28th, mat|r attended the greatest Free Software event: Mendoza FLISOL, which stands for Festival Latinoamericano de Instalación de Software Libre, meaning Latin American free software installing fest. The main goal of this event, organized by several local communities, is to promote free software use. There, mat|r was introduced along with its new development environment paradigm, that includes its own high level language. Such paradigm has been enhanced to model digital experiences and, thus, to allow that applications update themselves. 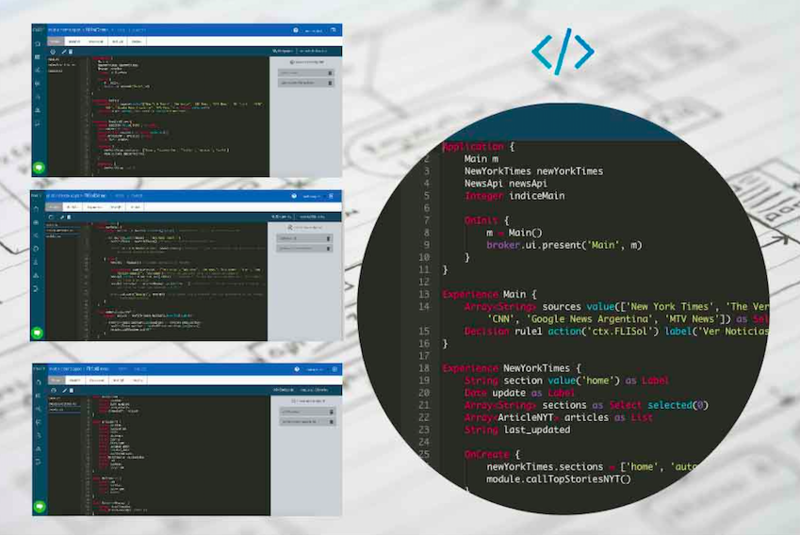 Mat|r stands as an open code collaborative applications development ecosystem which enables and generates a participative space where developers can share their codes without any friction. Our revolutionary mobile applications development platform was introduced to the group of people who were present at the event by Claudio Marrero -our Chief Evangelist- and Sergio Farias -our Product Development specialist. The attendees were able to try our platform and learn how to develop an application: mat|r news. This is an app which displays all the news from the most important newspapers in one place. As many others, this app is available for everybody to try in the HUB. Rooted in Mendoza, mat|r is a free code private project which represents the result of a lot of team effort and complete dedication not only at a local level, but also at a national one. You are invited to join the project and start developing your applications.